Planning a Windows 7 migration? How much of your corporate data is at the airport today in a lost or stolen laptop? What is the cost per year to manage your desktops? Are you prepared to support the upcoming “always-on” workforce? The HP Client Virtualization Enterprise Reference Architecture with Citrix XenDesktop 5 on Microsoft Windows 2008 R2 SP1 delivers a preconfigured and performance-optimized solution that simplifies customer integration and testing and reduces risk for deployment. With the right combination of compute, storage, networking, and system management, this solution is tuned for client virtualization efficiency AND includes options to scale up and out to meet changing customer requirements. These best-in-class solutions deliver value at a level that cobbled together components and poorly coordinated partnerships cannot approach. They also deliver value by bringing together three companies that understand the importance and process of partnering. HP, Microsoft and Citrix all have long, strong relationships around partnering. The HP and Microsoft global strategic alliance is one of the longest standing alliances of its kind in the industry – 25 years. HP is the leader in Citrix environments with 50% of Citrix installations running on HP servers, more than on IBM and Dell combined. What makes up the HP-Citrix-MS Client Virtualization Enterprise Reference Architecture? A self-contained and modular hardware solution that provides performance within the enclosure with the integrated tools to give you enhanced visibility and prevention notifications. Targeting the right HP Blade server to optimize the user experience. With everything in a rack, a single administrator can handle changes quickly. The rack has redundant networks for connecting to the data center management and production links. All iSCSI network traffic, virtualized application traffic, and VM provisioning traffic stays within the rack. With the storage within the rack, the storage team is not required to manage or be involved in the storage configuration. Providing increased security, simplified management, and strong performance, HP Thin Clients are the ideal client devices for Client Virtualization deployments. HP offers a full portfolio of Thin Clients with varying capabilities enabling IT to optimize both end-user experience and their IT budget by deploying a mix of client devices including the new HP webOS TouchPad. 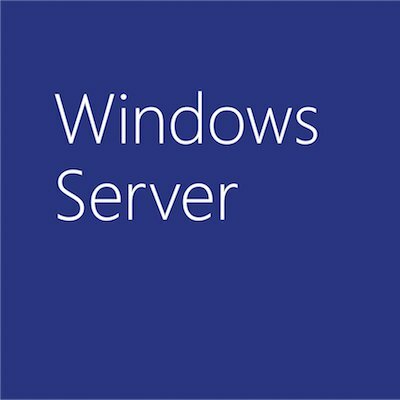 Microsoft released Windows Server 2008 R2 SP1 in earlier 2011 with several major enhancements, and major improvement in performance of Hyper-V, the most important enhancement to building the reference architectures is Dynamic Memory. Dynamic Memory allows utilization of physical memory to its fullest capacity without sacrificing performance. The release of SP1 has seen great improvements with performance. HP Insight Control for Microsoft System Center is a strong proof point for the collaboration between HP and Microsoft. Through management packs for System Center Operations Manager, System Center Configuration Management, and System Center VMM, HP allows customers who have standardized on Microsoft System Center products to expertly deploy, monitor, and control HP hardware providing unified management of Windows across the guest/host boundary in physical and virtual environments. Citrix XenDesktop transforms Windows desktops as an on-demand service to any user, any device, anywhere. XenDesktop quickly and securely delivers any type of virtual desktop or Windows, web and SaaS application to all the latest PCs, tablets, Smartphones, laptops and thin clients – all with a high-definition HDX user experience. FlexCast delivery technology enables IT to optimize the performance, security and cost of virtual desktops for any type of user, including task workers, mobile workers, power users and contractors. For more information visit the HP Client Virtualization website. Remember HP can address your current needs as well as your needs as they evolve – we are your source for Instant-On Solutions.